You don't have to be a libertarian to be good. There are good liberals and good conservatives out there- I have met some of both. The trick is that they are only good when they are acting in accordance with libertarian principles- whether or not those align with the rest of their beliefs. Everyone follows a lot of libertarian behavior in their daily life- otherwise we'd all be dead. Both "progressives" and "conservatives" embrace plenty of libertarian ideals even though they'd probably rather ignore that fact. But those ideals are the times when they are being the best they can be. As long as you are not attacking, stealing, defrauding, or trespassing on privately owned property you are acting as a libertarian, no matter what you might call yourself. The flipside is that libertarians are also only good as long as they are behaving in a libertarian manner. None of us is perfect. 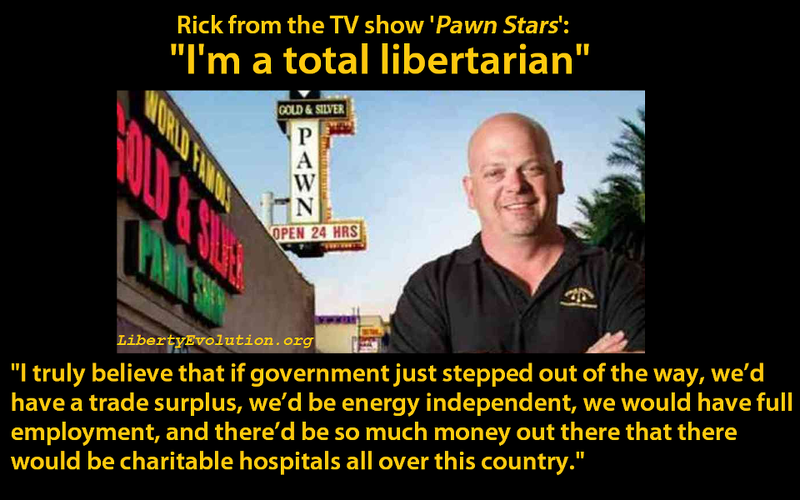 I have learned to be very skeptical when a celebrity (or anyone) claims to be "libertarian". Actions speak louder than words, and most people haven't got the slightest hint of a clue what it means to live by libertarian principles. However, I am willing to give anyone a chance until they show me they don't deserve one. I had an interesting April Fool's Day. I was super busy, and mostly stayed away from the computer, which saved me from being exposed to a lot of the mean-spirited "jokes" I see online every year. But the universe wouldn't let me get out of it that easy. My dad invited me to run some errands with him. And we got stuck in a car wash when it broke down. Stuck for around 20 minutes. Several other "funny" things happened which included me taking a nice, painful gouge out of the tip of my thumb with a piece of PVC pipe I was trying to repair for my parents' sprinkler system. And then I got a tetanus shot. Typing is more difficult than usual right now, but be glad I don't text these blogs, since the injury to my thumb has made texting incredibly difficult.